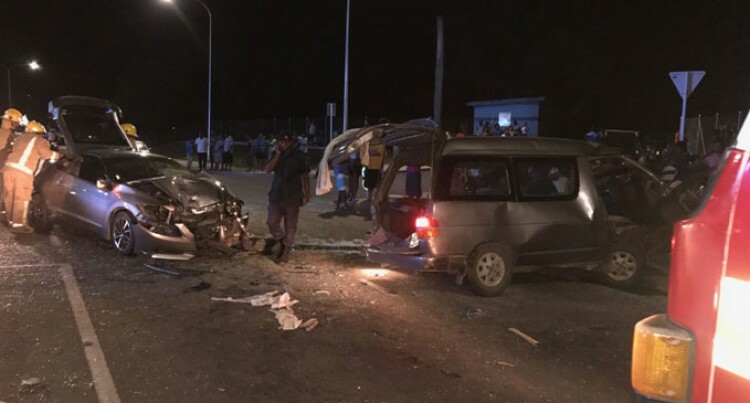 Four people were rushed to the Nadi Hospital last night after they sustained injuries in a three-car smash in Namaka, Nadi. The accident happened after 9.30pm. Details remained sketchy when this edition went to press last night. Police present at the scene confirmed the incident.